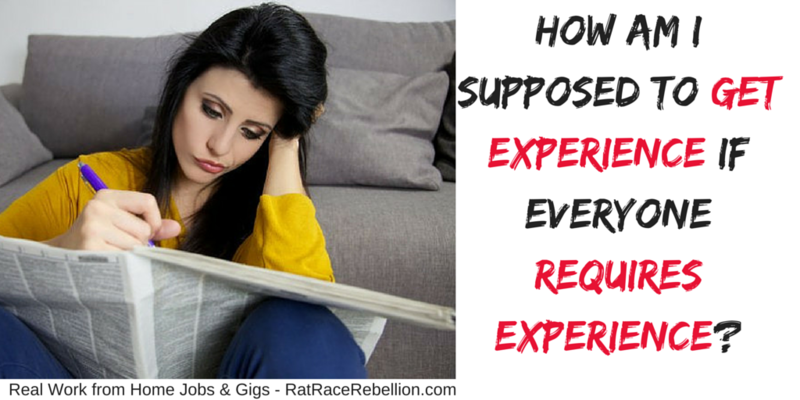 How am I supposed to GET EXPERIENCE if everyone REQUIRES EXPERIENCE? I have yet to meet the job seeker who has not asked that question. It’s so damned frustrating! Depending on the type of work you are looking for, and the kind of experience you are hoping to gain, there are some solutions! As a gig-worker, you are an independent contractor who performs tasks for one or many different companies or individuals – each of which can build your resume. For example, let’s say you are a Website Reviewer. On the surface, you may not think these 15-20 minute gigs belong on your resume or enhance your hireability. Assessed websites, prototypes, advertisements, videos and other types of material from small start-up companies to large corporations and provided candid feedback to those companies. You see? Just because you might over-simplify what you do doesn’t mean it’s simple! 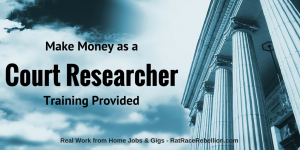 There are many “gig” opportunities that you can get paid for now while you are building your experience for later! Look at the following pages and posts for more: Website Testers, Search Engine Evaluators, Miscellaneous, In Demand Gig Jobs. I know, I know. You need money, so how does volunteering help? First, remember, you won’t be volunteering as a career, you’ll be volunteering as a step in the path toward your career. Volunteering can provide you with exactly the kinds of skills you need to land a paying job doing what you really want to do. Hiring managers take work experience as a volunteer seriously, so don’t discount the value of volunteering as a step in your career path. Idealist.org is one of the best sites we’ve found for virtual volunteer positions. I recently created a video tutorial about how to use their site to find work from home jobs. Just follow the step-by-step instructions in the video, but START by clicking the “VOLUNTEER” link at the top of the page rather than the Jobs link. Another good resource is VolunteerMatch.org and they conveniently broken out the virtual volunteer opportunities – just click on the “Virtual” tab in the middle of the home page. As with volunteering, internships can provide you with the practical experience employers are looking for. Idealist.org has some great internship opportunities posted, as does Looksharp. Internships.com is more student-focused, but worth taking a look at. 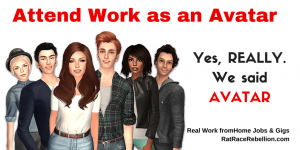 Consider taking true entry level jobs that will pay less as a means of building the experience you will need to land the higher paying positions. For example, there are many transcriber jobs that don’t require experience. When compared to jobs that require experience the pay may not be anything to write home about, but it IS pay and it IS experience. 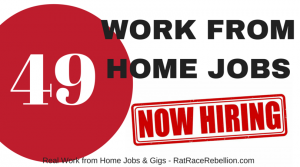 Moms Needed – Work from Home Writing for Disney, No Experience Necessary! This entry was posted in Work at Home Jobs and tagged no experience. Bookmark the permalink. ← Sports Enthusiasts: Fastest-growing online sports media brand HIRING NOW!